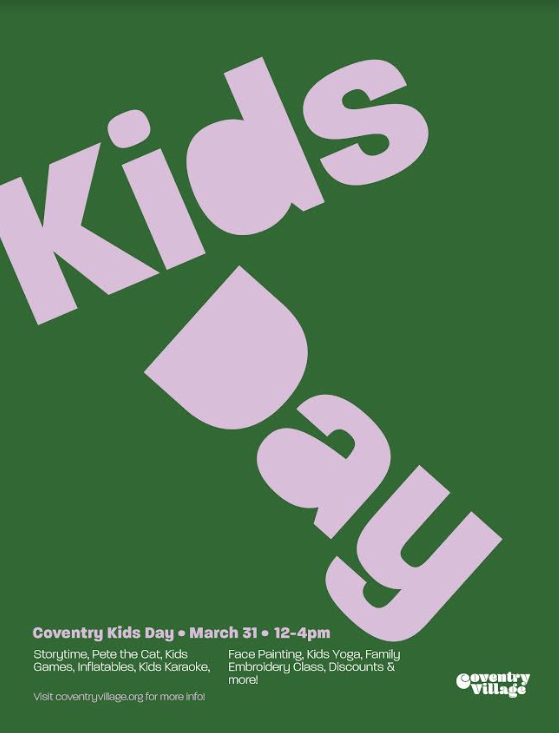 Coventry Kids Day on March 31st! FREE PARKING ALL DAY SUNDAY, MARCH 31st! 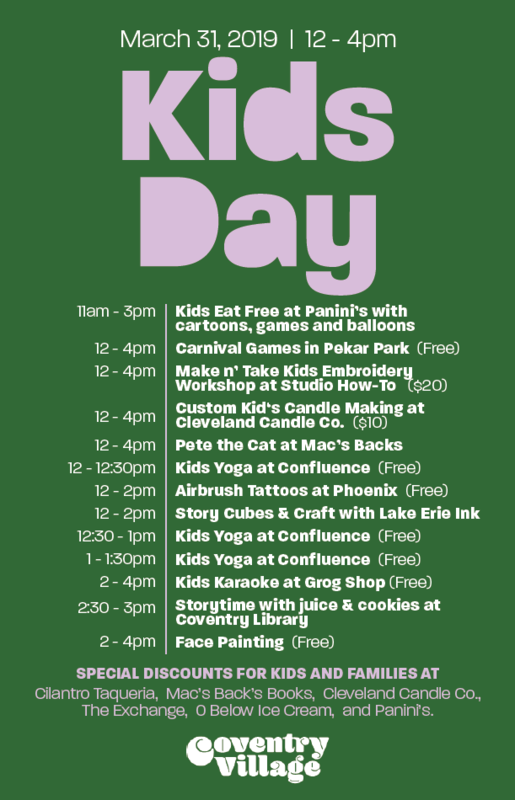 Join your neighbors for some free family fun in Coventry Village! The Exchange Stores (Coventry): Buy one used Kids DVD, get one FREE (free kids DVD of equal or lesser value). Mac's Backs-Books On Coventry: 20% off all children's and young adult books. Special Kids Merch for sale!